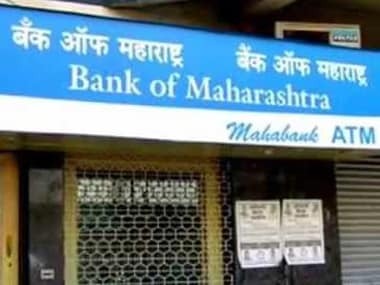 New Delhi: Shares of Bank of Maharashtra continued to fall for the second straight session on Thursday, dropping over 7 percent to hit a 52-week low, following the arrest of its serving and a former CMD in a cheating case. The stock, after a weak opening, further fell 7.20 percent to Rs 12.50 -- its 52-week low-- as the session progressed on BSE. On NSE, stock of the company tumbled 7.11 percent to hit its one-year low of Rs 12.40. The Economic Offences Wing of Pune police on Wednesday arrested six people, including the serving and a former CMD of Bank of Maharashtra in a cheating case lodged against real estate developer D S Kulkarni and his wife, an official said. The bank's present Chairman and Managing Director Ravindra Marathe, Executive Director Rajendra Gupta, Zonal Manager Nityanand Deshpande, and bank's former CMD Sushil Muhnot, were arrested yesterday. Meanwhile in a statement, Bank of Maharashtra said its exposure to D S Kulkarni Developers was around Rs 94.52 crore, which was fully secured. "Our total outstanding exposure to DS Kulkarni Developers is to the tune of Rs 94.52 crore which is fully secured with primary and collateral securities," it said.